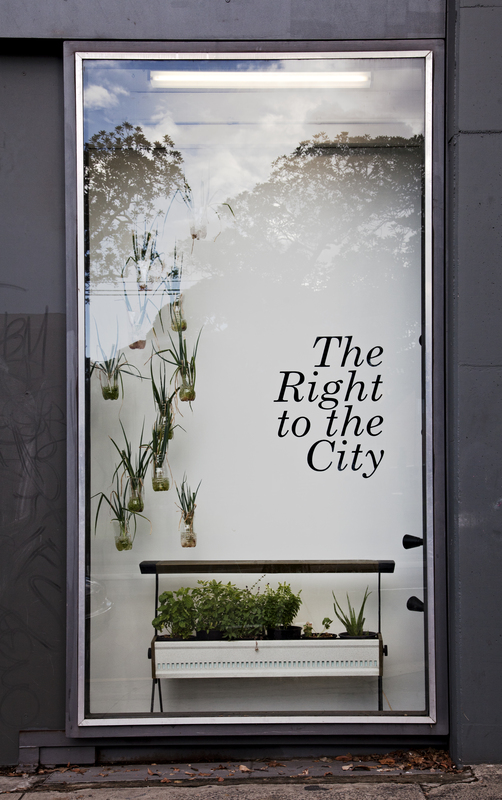 The Right to The City was an exhibition and publishing project that brought together a series of artistic, theoretical and philosophical escape plans. These escape plans ranged from the whimsical to the more serious, and presented real or imagined ways of reinventing life in our cities. The project explored the challenge of “putting foundations” under “castles in the air” – seeking connections between art, architecture, philosophy and action. In thinking through those connections, The Right to the City took as its starting point David Harvey’s famous article that redefined urban existence as a contested part of modern democracy: “The freedom to make and remake our cities and ourselves is, I want to argue, one of the most precious yet most neglected of our human rights”. Given the perilous environmental predicament we find ourselves in, coupled with our intensifying urbanisation, many artists, activists, planners and architects are seeking ways to “remake” the city in more socially connected and sustainable ways. Participating artists: atelier d’architecture autogérée (Studio for Self-managed Architecture, Paris), Claire Healy and Sean Cordeiro (Australia), Milkcrate Urbanism (Australia), D.V. Rogers (NZ/Australia), Marjetica Potrč (Slovenia), Sophie Warren and Jonathan Mosley (UK), Bababa International (Australia), Temporary Services (USA), SquatSpace (Australia) and Makeshift: Tessa Zettel and Karl Logge (Australia), DIY Urbanism curated by Joni Taylor (Australia). Curated by Lee Stickells and Zanny Begg. Tin Sheds Gallery, Sydney, 2011. To visit project webpage click here. Margaret Crawford delivered a keynote lecture, bridging between the exhibition opening and the symposium. Margaret Crawford is Professor of Architecture in the College of Environmental Design, University of California, Berkeley. Her research focuses on the evolution, uses and meanings of urban space. Her book, Building the Workingman’s Paradise: The Design of American Company Towns, examines the rise and fall of professionally designed industrial environments. She edited The Car and the City: The Automobile, the Built Environment and Daily Urban Life and Everyday Urbanism, and has published numerous articles on shopping malls, public space, and other issues in the American built environment. Her recent book Nansha Coastal City: Landscape and Urbanism in the Pearl River Delta was published in early 2006 and co-edited by Alan Berger. Tin Sheds Gallery, in conjunction with volunteers and architecture students from the Faculty of Architecture, Design and Planning are building a small edible garden as part of the exhibition. This project has been generously supported by: the Australia Council for the Arts, the Faculty of Architecture, Design and Planning at the University of Sydney, and the NSW Ministry for the Arts.